The Department of Communication Sciences and Disorders (CSD) worked with the Career Center to hold a Networking Live event on April 24 at the Alumni Center. Graduate and undergraduate students were encouraged to attend the event to build their networking skills. CSD alumni who are working as speech-language pathologists and audiologists were invited to attend, allowing an opportunity for the students to put their networking skills to practice. The event began with guest speaker Rachel Schlipmann, a consultant of Leadership and Development at Country Financial. Schlipmann explained the importance of networking through a variety of different interactive activities with the students and the alumni. Cooperatively each table brainstormed a possible definition of networking, what made networking difficult, and a list of people with whom they could network. Schlipmann described many “Tips for Success” for breaking networking into manageable steps. The presentation provided students with crucial information that can be applied in a variety networking scenarios. 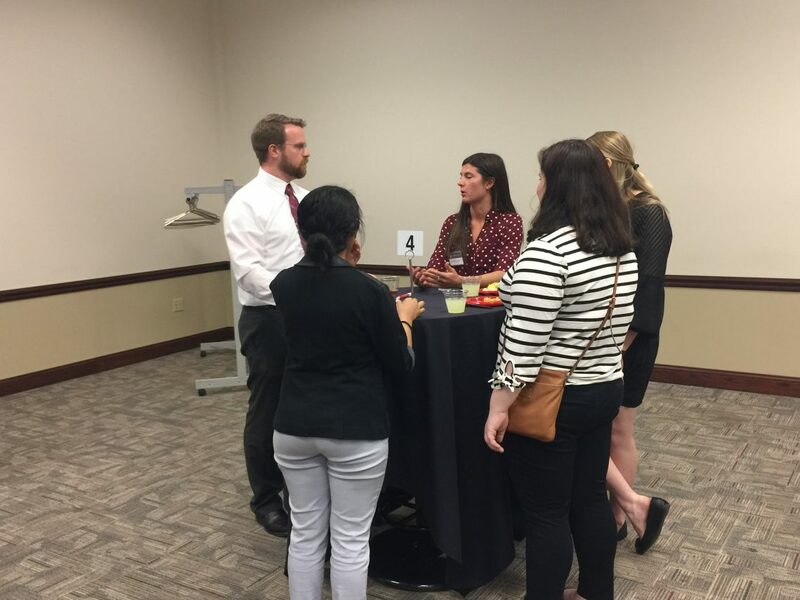 After Schlipmann’s presentation finished, alumni and current CSD students practiced networking skills discussed during the presentation. This occurred while light appetizers and “mock-tails” were served. Each alumnus was positioned at a different high-top table and CSD students were encouraged to join them and practice important networking skills. As students moved from table to table they implemented each step of networking tips that were learned from Schlipmann’s presentation. This gave students a valuable opportunity to create connections with those working in the CSD field. There was a great energy throughout the whole event from the nine alumni and almost 40 students who attended. 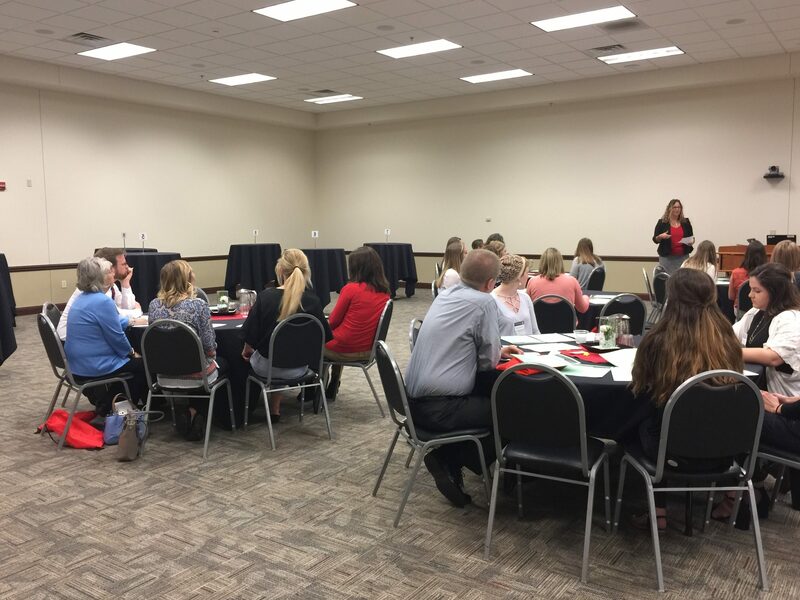 The Networking Live event provided CSD students a strong foundation as they pursue future careers in speech-language pathology and audiology.